This home is an oldie but goody! 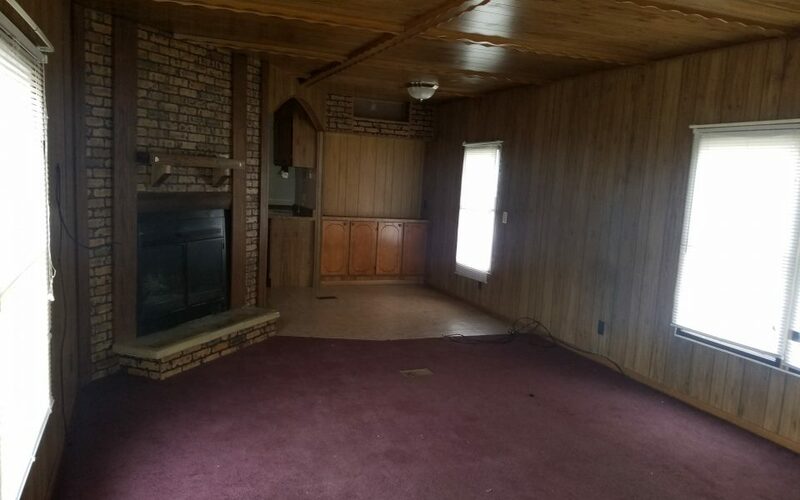 The home is 2 bed, 2 bath, has a beautiful fireplace that has a rustic feel to it, with the wood look on the ceiling and paneling. The roof was just coated this past summer. It’s located on a corner lot, so it has a large yard with a front porch/deck. This home also comes with a shed located around the back. The home has a washer, dryer, stove and fridge.